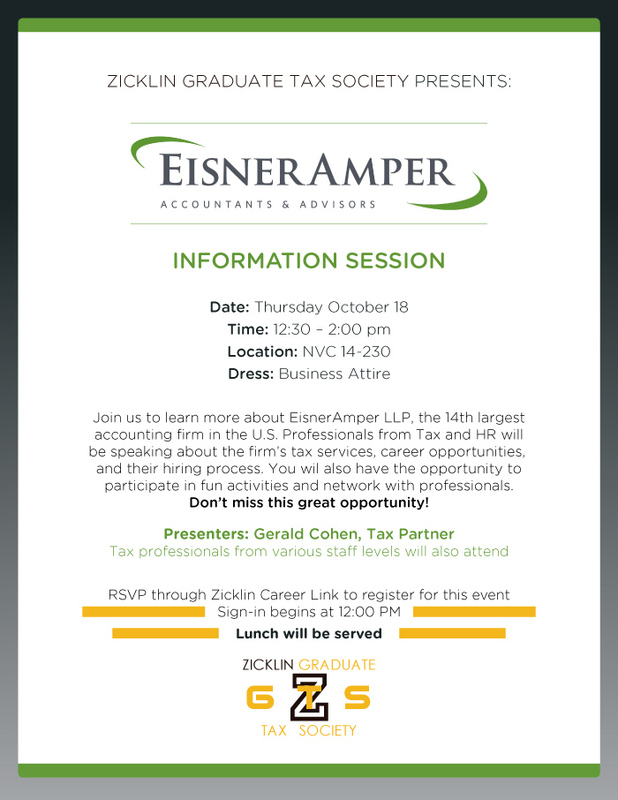 Learn about the Tax Practice at EisnerAmper, the 14th largest accounting firm in the U.S., with nearly 1,300 employees, including 180 partners. Professionals from Tax and HR will be speaking about the firm’s tax service, career opportunities, and hiring process. You will also have the opportunity to participate in fun activities and network with professionals.